In: Blogculture-GALERIJE I MUZEJI, Belgrade, Serbia. Should the art of today, as a Corner Sofa, be something “comfortable” or “uncomfortable”? In: Artmagazin.info, Novi Sad, Serbia. In: Dnevnik, Novi Sad, Serbia. In: Znakovi, RTS.rs Radio Beograd 2, Belgrade Serbia. In: The Web Site of the Cultural Center of Republic of Serbia, Paris, France. Publisher: The Bel Art Gallery, Novi Sad, Serbia. In: The Website of the Bel Art Gallery, Novi Sad, Serbia. In: www.mojnovisad.com, Novi Sad, Serbia. In: Dani, N°1032, Sarajevo, Bosnia and Herzegovina. In: Galerija Lucida, Belgrade, Serbia. In: The Website of the Centre Culturel d’Ottignies-Louvain-la-Neuve, Belgium. In: The Website of the Lucida Gallery, Belgrade, Serbia. In: The Website of the Beaux-Arts de Paris, France. In : The Website of the Museum Night, Belgrade, Serbia. In: La Libre, Brussels, Belgium. In: The Website of the Goethe Institut Serbien, Belgrade, Serbia. In: CorD Magazine, Belgrade, Serbia. Editor : The Terra Gallery, Kikinda, Serbia. In: The Website of the terra International Symposium, Kikinda, Serbia. In: The Website of the Brabant Wallon, Court-St.-Étienne, Belgium. Publisher: The Space for Contemporary Art HEC, Jouy-en-Josas, France. In: The Website of the Biennial of Louvain-la-Neuve, Belgium. In: The Press File of the Biennial of Louvain-la-Neuve, Belgium. In: The Twitter account of the 9th Biennial of Contemporary Art, Ottignies Louvain-la-Neuve, Belgium. In: The Supplement of the newspaper Le Soir, Brussels, Belgium. In: The Website of the tvcom.be, Brabant Wallon, Belgium. In: Mu in the City, Visual Art Magazine. Brussels, Belgium. In: H ART Magazine #174, Gent, Belgium. In: Focus Le Vif Magazine, Brussels, Belgium. In: Le Soir+, Brussels, Belgium. In: Les cahiers du Musée national d’art moderne n°141- Automne 2017, Paris, France. Publisher: Borgerhoff & Lamberigts and BOZAR BOOKS, Brussels, Belgium. In: Nova misao N° 32, Novi Sad, Serbia. Publisher: Visart, Novi Sad, Serbia. In: Art magazin, Novi Sad, Serbia. In: The Web site of the Radio-TV Vojvodina, Novi Sad, Serbia. In: Kikindske novine, Kikinda, Serbia. Publisher: The Gallery of Matica srpska, Novi Sad, Serbia. In: Migrants of Mental Spaces. Publisher: Museum of Contemporary Art Vojvodina, Novi Sad, Serbia. In: Toile de Jouy, Regards contemporains. Publisher: Espace d’art contemporain HEC Paris, Paris, France. In: Website of the Radio-Television of Vojvodina, Novi Sad, Serbia. Publisher: On Demand Editions, Venice, Italy. In: The Website of the Museum of Contemporary Art of Vojvodina, Novi Sad, Serbia. In: The Web site of the Kibla portal, Maribor, Slovenia. In: The Web site of the Museum of Contemporary Art of Vojvodina, Novi Sad, Serbia. In: ATV, Banja Luka, Bosnia and Herzegovina. Text by Huang Tsai-Lang, Sanja Kojić Mladenov, Svetlana Mladenov and CHEN Yan-Huei. Publishers: Museum of Contemporary Art of Vojvodina, Novi Sad, Serbia and Museum of Contemporary Art of Republic of Srpska, Bosnia and Herzegovina. In: Glas Srpske, Banja Luka, Bosnia and Herzegovina. In: Nezavisne novine, Banja Luka, Bosnia and Herzegovina. Introductory text on the exhibition “Toile de Jouy, Regards contemporains – On the campus“. In: Espace d’art contemporain HEC-Paris, Jouy-en-Josas, France. In: The Website of the National Museum of Montenegro, Cetinje, Montenegro. Sanja Kojić Mladenov and Ana Ivanović: Memory of Violence – Dreams of the Future 1914-18 / 2014. In: Catalogue of the exhibition. Publisher: Museum of Montenegro, Cetinje, Montenegro. In: Nova misao N°30/31, Novi Sad, Serbia. In: Studio Studies: Operations, topologies and displacement. Book. Edited by Ignacio Farías and Alex Wilkie. Publishers: Routledge, Taylor and Francis Group, London, United Kingdom and New York, USA. In: Zajtrajšie noviny, Košice, Slovakia. In: Zajtrajšie noviny, Košice, Slovaquie. In: Ilustrovana politika N° 2968, Belgrade, Serbia. Publisher: The Museum of Contemporary Art of Vojvodina, Novi Sad, Serbia. In: Danube Dialogues, Novi Sad, Serbia. Publisher: Espace d’art contemporain HEC, Paris, France. Publishers: Stylos Art and Zavod za kulturu Vojvodine, Novi Sad, Serbia. Text by Sanja Kojić Mladenov. Publishers : Stylos Art and Zavod za kulturu Vojvodine, Novi Sad, Serbia. Publisher: The Space for Contemporary Art HEC, Paris, France. In: The website of the Ministry of Culture of Taiwan, Taipei, Taiwan. In: CNA, Focus Taiwan, Taipei, Taiwan. Publisher: MSUV, Novi Sad, Serbia. In: The National Taiwan Museum of Fine Arts. Taichung, Taiwan. The website of the National Taiwan Museum of Fine Arts. Taichung, Taiwan. The blog of the National Taiwan Museum of Fine Arts. Taichung, Taiwan. In: Le site culture de la ville de Lyon, Lyon, France. In: Le Nouvel Observateur, Paris, France. In: Le Télégramme, Saint-Brieuc, France. In: ISSU Perpetuummobile, Belgrade, Serbia. In: Blog by Sanja Kojić Mladenov. In: The Websites of the Glassbox, Paris, France & the Ateliê Coletivo2E1, Sao Paulo, Brazil. In: www.artmagazin.info, Novi Sad, Serbia. Publisher: Edition des archives contemporaines, Paris, France. In: www.artmagazin.info Novi Sad, Serbia. Sonja Jankov: The Lack of Surplus Value, text for the catalogue, exhibition Igor Antić: Just what is it that we are talking about? In: The Contemporary Gallery, Zrenjanin, Serbia. In: The website of the Contemporary Gallery, Zrenjanin, Zrenjanin, Serbia. Text by Tijana Palkovljević Bugarski, Danilo Vuksanović, Ratomir Kulić & Igor Antić. In: The website of the Gallery of Matica Srpska, Novi Sad, Serbia. 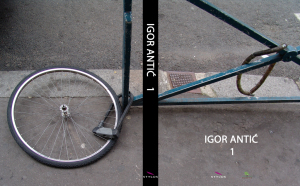 Sonja Jankov: Introductory text for the graphic map, Igor Antić: Gaps. Djura Djukić: O čemu mi to pričamo? In: Portal kulture Vojvodine, Novi Sad, Serbia. In: The website of the Radio TV Vojvodina. Production: WebTeam, Novi Sad, Serbia. Catalogue of the 16e Biennial of Arts. Publisher: The Cultural Centre of Pancevo, Serbia. In: The Website of the exhibition held in Glassbox, Paris, France & Ateliê Coletivo2E1, Sao Paulo, Brazil. In: Text exhibited during the show Aos cuidados de Paris – A l’attention de São Paulo, Glassbox, Paris, France. Publishers: The Bel Art Gallery, Novi Sad, Serbia and Künstlerhaus, Vienna, Austria. In: The Website of the Radio Television of Vojvodina, Novi Sad, Serbia. Co-publishers: l’Institut Français de Serbie/ Jean-Luc GOESTER and Goethe-Institut Belgrade/ Matthias Müller-Wieferig. In: Multimedijalni portal APV, Novi Sad, Serbia. In: Sutra/Tomorrow, the art & science festival in Belgrade, Serbia. Museum of Contemporary Art Vojvodina, Novi Sad, Serbia. Igor Antić, What are we talking about? In: The Website of the Cultural Centre of Belgrade, Serbia. In: What are we talking about? 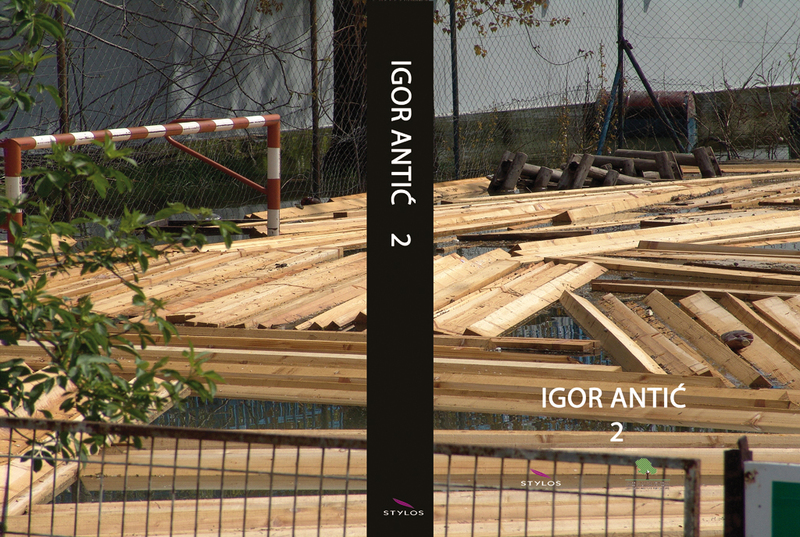 The Catalogue of the solo exhibition by Igor Antić. Publisher: The Cultural Centre of Belgrade, Serbia. Igor Antić, What are we talking about ? In: The Web site of the Cultural Centre of Belgrade, Serbia. In: Radio Television of Serbia. In: Znakovi, Radio Beograd 2, Belgrade Serbia. In: Večernje novosti, Belgrade, Serbia. In: Beaux Arts magazine, Hors série. Publishers: Beaux Arts Editions &TTM Editions, Paris, France. In: Blic Online, Novi Sad, Serbia. In: www.021.rs, Novi Sad, Serbia. In: Blic, Novi Sad, Serbia. In: Sava Šumanović and the secret of La Coupole. Book. The exhibition of painting by Sava Šumanović presents the spirit of Paris in Novi Sad. In: 24 Hours, Novi Sad, Serbia. In: Radio B92.net, Belgrade, Serbia. In: D Magazin N°96, Novi Sad, Serbia. In: New Review N°231, Jat Airways, Belgrade, Serbia. In: New sculpture in Vojvodina 1980-2000. Book. Sava Stepanov: Venetian reflections – Serbian Artists in the Venice Biennial exhibitions. Publishers: La Galerie Bel Art, Novi Sad and Zavod za kulturu Vojvodine, Novi Sad, Serbia. With texts by Vladimir Kopicl and Miško Šuvaković. Authors: Mathieu Beausejour, Nathalie de Blois, Bernard Schutze. Publisher: L’Écart… lieu d’art actuel, Rouyn-Noranda, Canada. Publisher: Eurogroup Consulting, Paris, France. In: Nova Misao. The Magazine for contemporary culture. Novi Sad, Serbia. In: Espace sculpture N°97. Montreal, Canada. The catalogue of the exhibition in Auditorium Giovanni Paolo II, Citta di Piove di Sacco, Italia. Publisher: JU “Center for Culture and sport” Srbac, Bosnia and Herzegovina. Editors: Magdalena Malm, Annika Wik. Publisher: Propexus Förlag, Stockholm, Sweden. Publisher: Agence Culturelle Dordogne-Périgord, Périgueux France. The Catalogue of the 1st Biennial of Rennes. Publisher: Les Presses du reel, Dijon, France. Publisher: The Novi Sad Cultural centre, Novi Sad, Serbia. In: DN.se Kultur & Nôje, Stockholm, Sweden. In: 5x5Castello09. The catalogue of the exhibition. Publisher: Espai d’art contemporani de Castello, Castello, Spain. In: La Dépeche, Tarbes, France. In: HEC, Hommes et commerce. Paris, France. In: Paris Match N° 3072, Paris, France. April 3rd – 9th, 2008. In: Les echos. Paris, France. Miško Šuvaković: Introduction. Group of authors: Various texts. In: The European contexts in art of the 20th Century in Vojvodina. Book. Publisher: Editions Cercle d’art, Paris, France. In: Ouest France, Rennes, France. In: Capital privé magazine N°6. Paris, France. In: Le Journal des Arts, Paris, France. In: Until the end of the Century. Book. Sanja Kojic-Mladenov: Incident and disruption: Decentralization and contextualization as Art practice. In: Space for new dialogue. Book. In: Anthologie de l’art, Book. Publishers: Museum of contemporary art Novi Sad & The Manual Forgotten Museum, Novi Sad, Serbia. In: Expérience Pommery#4, L’emprise du lieu. Bookleet. Publisher: Beaux-arts éditions, Paris, France. In: Anomalija, Novi Sad, Serbia. Sandra Delacourt: L’Emprise du lieu. Une cartographie de l’héritage Burenien. In: L’art meme. Book. Brussels, Belgium. In: L’Est Républicain. Bar-le-Duc, France. Newspaper from June 24th, July 5th, July 9th, July 12th, July 18th, July 21st and August 4th, 2007. Publisher: Éditions Clark, collection PÉTULA. Montreal, Canada. In: Press release, Musée Géo-Charles, Échirolles, France. Sanja Kojic-Mladenov: Urban space – place for new art interventions. In: Sculpture/objects, installations, ambient, interventions/ in public space. Book. Svetlana Mladenov: Igor Antić- In situ. In: Made in Novi Sad. Book. Publisher: The Tableau Gallery, Novi Sad, Serbia. In: MSUV Recapitulation 2007, Novi Sad, Serbia. Publisher: Musée d’art contemporain Vojvodine, Novi Sad, Serbie. In: Here, Far away. Booklet. Publisher: Museum of contemporary art, Novi Sad, Serbia. In: Iconography of bordello. Booklet. Publisher: The City museum, Ljubljana, Slovenia. In: Razstave, RTV SLO, Ljubljana, Slovenia. Vladimir P. Stefanec: Zdaj si potrosnik, srecen potrosnik! In: Flash Art N°249, Milano, Italy. In: À Sérignan contre toute logique… Book. Publisher: Somogy Éditions d’art, Paris, France. Rosimeri Carvalho da Silva: Quanto voce vale? Sociedado para a avaliacao dos humanos. In: Cadernos Ebape.BR, Florianopolis, Brazil. In: Dordogne Libre, Périgueux, France. In: L’Echo de la Dordogne, Périgueux, France. In: Sud- Ouest, Périgueux, France. In: Réussir le Périgord, Périgueux, France. In: Trafic, The catalogue of the exhibition Trafic. Publisher: L’Ecart, Lieu d’art actuel, Rouyn-Noranda, Canada. In: Hérault du jour, Béziers, France. In: Objets internes, regards et images délocalisés. The catalogue of the exhibition. Périgueux, France. Publisher: The Belgrade Cultural centre, Belgrade, Serbia. Publisher: The Center for visual culture Golden Eye, Novi Sad, Serbia. Borivoj Popržan, Gordana Djilas, Nedeljko Mamula, Djordje Pisarev: The Map of World of the Petrovaradin Fortress. In: The Map of World of the Petrovaradin Fortress. Book. Publishers: Borivoj Popržan, Likovni krug, The Petrovaradin Fortress, Novi Sad, Serbia. In: The Pontus Hulten’s collection. Book. Publisher: Moderna Museet Stockholm, Sweden. In: Igor Antić, Subtitles. Book. Publishers: ADDC Périgueux, France & The Gallery of the contemporary art, Pančevo, Serbia. Editor: IHEAP, Paris. Publisher: Edition des Musées de Marseille, Centre Pompidou et Amis IHEAP. Marseille, France. Igor Antić: Quel est le réel pouvoir de l’art et de l’artiste face à une situation de guerre ? In: La Vie des Arts N°194. Montreal, Canada. Guest editor: Ioanna Georgescu. Publisher: La Société La vie des Arts. In: Esse, Corantos 14, Montreal, Canada. Igor Antić & Andreu Solé : How much are you worth? A company estimating human value. In: Values. Catalogue of the 11th Biennial of visual arts. Publisher: The Gallery of contemporary art, Pančevo, Serbia. In: The supplement of The Catalogue of the 11th Biennial of visual arts, Pančevo, Serbia. In: Pančevačke novine, N°89, Pančevo, Serbia. In: Blic News, Belgrade, Serbia. In: B92 Kultura, Belgrade, Serbia. Publishers: Dragomir Ugren, Ješa Denegri, Živko Grozdanić, Center for Contemporary Culture Konkordija, Vršac, Serbia. In: Master’s essay of Art History. Publisher: Université Michel de Montaigne- Bordeaux III, Bordeaux, France. In: Le Journal des Arts N°201, Paris, France. In: Jochen Gerz, Anthologie der Kunst. Book. Publisher: DuMont Literatur und Kunst Verlag, Köln, Germany. In: Info Galerie CLARK, Montreal, Canada. January 16th – 22nd, 2003. In: Le Devoir, Montreal, Canada. In: Rond-point au mammouth. Book. On an idea of Veit Stratmann. Publisher: PPT Editions, Paris, France. In: BdP, HEC, Jouy-en-Josas, France. In: Daniel Firman, Under foot. Book. Publishers: Le Parvis Centre d’art contemporain, Ibos. CAC Abbaye Saint-André, Meymac. Un, deux… quatre, Éditions Clermont-Ferrand, France. In: Temi e Aspetti dell’arte Serba negli Anni Novanta, Tesi di specializzazione, Universita’ degli studi di Bologna, Scuola di Specializzazione in Storia dell’arte, anno accademico 2000-2001. Bologna, Italia. Publisher: The Gallery of the Contemporary art, Pančevo, Serbia. In: Free Manifesta Newsflash. Frankfurt, Germany. In: Balkan Art, The 3rd International Triennial of Contemporary Art. Catalogue. Publisher: The Centre for visual culture Golden eye, Novi Sad, Serbia. In: Le Figaro, Paris, France. In: Artcontext N°1, Art magazine. Publisher: Konkordija, The Center for Contemporary culture, Vršac, Serbia. In: The Catalogue of the exhibition Jardins Secrets IV. Ivry-Sur-Seine, France. In: Becomings- Contemporary art in South Eastern Europe, Book. In: Bulletin 24 La Chambre Blanche, Quebec, Canada. In: Metro, issue # 2, Winter 2000/2001.Toronto, Canada. In: Art in Serbia in 90’s. Book. Publisher: Svetovi, Novi Sad, Serbia. In: Le Monde, Paris, France. In: Art Press N°242, Paris, France. In: Inter : art actuel N°73, Quebec, Canada. In: Press release, The Venice Biennial, Venice, Italy. In: Stirring Streaming Dreaming, Symposium. Forum Stadtpark, Graz, Austria. In: The Big Bend Sentinel, Marfa, Texas, USA. Publisher: Center for the Contemporary culture Konkordija, Vršac, Serbia. Publisher: Stockholms universitet, Konstvetenskapliga inst., Stockholm, Sweden. In: The Art Critic’s Choice. Catalogue. Publisher: The Cultural Centre Belgrade, Serbia. In: Projeka(r)t N°8/9, Novi Sad, Serbia. In: Naša Borba, Belgrade, Serbia. Publisher: Thessalonica, European Cultural Capital, Thessalonica, Greece. Zoran Erić: Is a shift away from the formal level of work possible? In: The catalogue of The 2nd Biennial of Young Artists. In: N.S. Nedeljnik N°2, Novi Sad, Serbia. Publisher: The Gallery of Contemporary Art, Pančevo,Serbia. In: Nice Matin. Nice, France. In: The Athens news, Athens, Greece. In: Projeka(r)t N°7, Novi Sad, Serbia. In: The catalogue of the exhibition Tendencije 90-ih. Publisher: Centre for the Visual Culture Zlatno oko, Novi Sad, Serbia. Picturalité en trois dimensions- Press releases. In: Galerie Le Monde de l’art, Paris, France. In: The catalogue of the exhibition Picturalité en trois dimensions. In: Hochparterre N°6/7, Zürich, Switzerland. In: Deutsche Bauwelt Magazine, Berlin, Germany. In: The catalogue of the exhibition Belebungverrsuche IV, Chemnitz, Germany. In: Freie Presse, Chemnitz, Germany. In: Chemnitzer Blick, Chemnitz, Germany. In: Catalogue Trijenale skulpture, Pančevo, Serbia. In: Kunstforum International N°135, Köln, Germany. In: Monitor N°233, Podgorica, Montenegro. In: The Encounter centre Pokret. Book. Publisher: Academy of Arts, Novi Sad, Serbia. In: Vreme umetnosti, Belgrade, Serbia. In: Projeka(r)t N°5, Novi Sad, Serbia. In: Rheinische Post, Düsseldorf, Germany. In: Westdeutsche Zeitung, Düsseldorf, Germany. In: Igor Antić 1994-95. Booklet. Supported by The Soros Fund for Yugoslavia. Publisher: Danielprint, Novi Sad, Serbia. In: The Košava magazine N°18. Vršac, Serbia. In: The Biennial of Young Artists, Vršac, Serbia. In: Zlatno oko Magazine N°1, Novi Sad, Serbia. 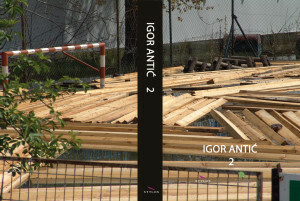 In: The catalogue Igor Antić. Éd. : Centre for the Visual Culture Zlatno oko, Novi Sad, Serbia. In: Nezavisni N°85, Novi Sad, Serbia. In : Dnevnik, Novi Sad, Serbia. In : Borba, Belgrade, Serbia. In: Vreme, Belgrade, Serbia. (Serbian) et Magyar Szo, Novi Sad, Serbia. (Hungarian). In: Projeka(r)t N°4, Novi Sad, Serbia. In: Solinger Morgenpost, Solingen, Germany. In: Schwäbische Zeitung, Rottweil, Germany. In: Schwartzwälder Bote, Rottweil, Germany. In: The catalogue of the exhibition Rottweiler Sommer. Publisher: Dominikaner Forum, Rottweil, Germany. In: Narodna Armija, Belgrade, Serbia. In: The catalogue of the exhibition Oktobarski salon, Belgrade, Serbia. Publisher: Jeune Peinture, Paris, France. Publisher: Paris : Salon des réalités nouvelles, Paris, France. Author: Osaka-fu Bunka Shinko Zaidan, Osaka, Japan. Publisher: Osaka Foundation of Culture, Osaka, Japan. In: Catalogue of the exhibition Igor Antić, Out-of-work machines, The Likovna Jesen Gallery, Sombor, Serbia. In: Catalogue of the exhibition Igor Antić, Paintings-objects, The Popular Museum, Kikinda, Serbia.